A system of tunnels and caves beneath Ecuador and Peru is reputed to hold an ancient treasure-house of artifacts including two libraries, one containing inscribed metal books and the other storing tablets of crystal. It’s not what you know, but who you know. In 1973, Erich von Daniken, at the height of his fame following the success of Chariots of the Gods?, claimed that he had entered into a gigantic subterranean tunnel system in Ecuador, which he was told spanned the length of the continent surely evidence that our ancestors were highly advanced, if not extraterrestrial? The structure was believed to house a library in which books were made out of metal this in an area where today there is nothing but “primitive” Indian tribes with no written language. Evidence of a lost civilization? It was a major claim, and it did not go unchallenged. The story centered around Janos “Juan” Moricz, an aristocratic Argentinian-Hungarian entrepreneur who claimed that he had discovered a series of tunnels in Ecuador that contained a “Metal Library”. 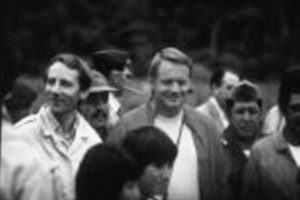 In a signed affidavit dated 8 July 1969, he spoke about his meeting with the Ecuadorian president, where he received a concession that allowed him total control over this discovery a provided he could produce photographic evidence and an independent witness that corroborated the discovery of the underground network. Newspapers reported on the expedition that Moricz had organised. “The passages all form perfect right angles. Sometimes they are narrow, sometimes wide. The walls are smooth and often seem to be polished. The ceilings are flat and at times look as if they were covered with a kind of glazea My doubts about the existence of the underground tunnels vanished as if by magic and I felt tremendously happy. Moricz said that passages like those through which we were going extended for hundreds of miles under the soil of Ecuador and Peru.” However, one of the world’s potentially biggest discoveries soon turned sour. Journalists from the German publications Der Spiegel and Stern interviewed Moricz, who now denied ever having been in the cave with von Daniken. It undermined von Daniken’s credibility (though some would argue he had none to begin with), branding him a liar. Moricz further stated that the library was guarded by a tribe. So, in short, Moricz claimed to von Daniken that he had discovered caves, and he showed these to him. Now he claimed to have seen the caves, led there by a guide whom he could not identify, but denied having taken von Daniken there. The logical conclusion seemed to be that Moricz had shown something to von Daniken, was now caught by the fact that everyone seemed to know that he had done so, and had to make sure that whoever had shown him did not bear any grudges against Moricz, no doubt because Moricz himself would most likely have been asked not to show anyone else the site. By 1975, the story had killed the career of one notorious author, so who would dare to tread in his footsteps? The answer: Neil Armstrong, the first man on the Moonaor rather, a Scotsman who wanted to change the precarious status quo in which the Metal Library controversy had found itself. Stanley (“Stan”) Hall had read von Daniken’s book and subsequently befriended Moricz. The latter confirmed that he had met von Daniken in 1972 and had taken the Swiss author from Guayaquil to Cuenca, where they met Padre Carlos Crespi and saw his collection of enigmatic artefacts. 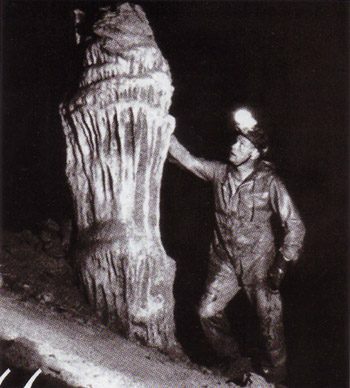 There was insufficient time to take von Daniken to the “true location”, so instead they decided to show him a small cave some 30 minutes from Cuenca, claiming it connected to the network. This seemed to clear up the von DanikenaMoricz controversy, but not the Metal Library itself. Where was it? 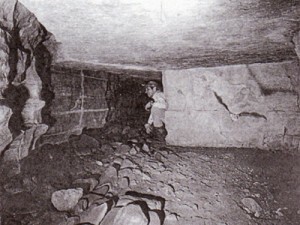 Moricz’s 1969 expedition had ventured into the Cueva de los Tayos, which Moricz identified as the cave that led into the Metal Library. But in 1969, no Metal Library had been uncovered. So Hall decided to organise an EcuadorianaBritish expedition that would explore the Cueva de los Tayos; it would be a purely scientific expedition. I had met Stan Hall a few times over the course of a decade, without knowing that the person I was speaking to was Stan Hall. He was a member of the audience at the Scottish Sauniare Society conferences. Stan blends into the background and is unlikely, if not unwilling, to stand out. It’s by pure accident that I found out I knew Stan Hallathe Stan Hall, who furthermore lives nearbya It provided me with an opportunity to get a personal perspective on this story, and one I was willing to take with both hands. Originally set up to take place in 1977, the 1976 expedition occurred at a time when von Daniken’s public profile had been damaged by Moriczaand Hall was apparently about to endorse Moricz’s claim. It left von Daniken feeling wary about Hall for more than 20 years, until both men realised they were kindred spirits rather than mortal enemies. Why did he do it? Hall wanted to create a framework: if there was indeed a Metal Library of a lost civilisation, the first step would be to map the site. That was the main and only goal of the expedition; there was no treasure-seeking. Hall used his professional expertise to create a three-week exploration of this famous cave: a joint venture of the British and Ecuadorian armies, supported by a team of geologists, botanists and other specialists. How did Neil Armstrong get involved? On 3 August 1976, when the expedition was winding down, Armstrong entered the tunnel system. Even though they were not looking for it, the team members did not stumble upon a Metal Library. Had they done so, the discovery would have altered mankind’s perspective on our history and origins. For Amstrong, it could have been his second great contribution to mankind’s exploration. However, the team did catalogue 400 new plant species as well as a burial chamber inside the cave, in which a seated body was found. The chamber was later dated to 1500 BC, and it was believed that at the time of the summer solstice the sun illuminated this tomb. The story had gone from ancient astronauts to astronaut par excellence, but what would be the next step? Everyone and everything had revolved around Juan Moricz, but in retrospect he was the wrong centre of the universe. From 1969 until 1991, the year he died, the Metal Library eluded him. So what next? That Moricz was not the originator of the story was clear, as von Daniken himself noted on page 53 of his book. In the 1973 interview with Der Spiegel, Moricz confirmed that an unnamed person had shown him the cave. But who was this person? After Moricz died, Hall decided to track down this “third man”, who had disappeared into the shadows. Hall had a nameaPetronio Jaramilloabut nothing more. Jaramillo confirmed that when Moricz arrived in Guayaquil in 1964, he teamed up with lawyer Dr Gerardo Peaa Matheus. Moricz told Matheus of his theory about how Hungarian people have been at the root of practically every civilisation. Through acquaintances, Andres Fernandez-Salvador Zaldumbide and Alfredo Moebius, Moricz met Jaramillo in Moebius’s house, and from there Moricz ran with Jaramillo’s story. Hall was annoyed with himself, for various people had tried to direct him towards Jaramillo as early as 1975, but it took until 1991 before the two met. Jaramillo and Hall realised that had it not been for Moricz, who focused attention on the Cueva de los Tayos (which was not the actual location of the library), the 1976 expedition could have resulted in the discovery of the centuryaand what a track record for Armstrong it would have been! But it’s a two-edge sword because, had it not been for Moricz, the story would never have come about like this. And today, Hall’s biggest desireaif he were able to turn back timeais to sit down at one table with both Moricz and Jaramillo. At the same time, he realises that Moricz had been intent from the beginning that the Metal Library would be his legacy. When Hall showed Moricz a manuscript about the 1976 expedition, Moricz point-blank refused to return it. 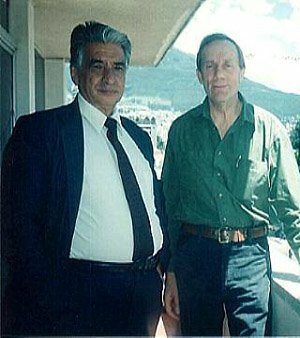 It ended their friendship, but Hall never understood why until 1991, when he realised that the manuscript mentioned Jaramillo. It was a name Moricz did not want to see publishedaas he had confirmed in the 1973 German newspaper interview. Moricz was incredibly stubborn and, equally, incredibly loyal, but obviously was the wrong man and was sadly mistaken if he thought he could ever pull off the discovery of the century. Jaramillo and Hall became friends, though both agreed Jaramillo would not prematurely reveal the location of the site. Still, he was willing to talk in detail about its contents and any other aspect Hall wanted to discuss. From Jaramillo, Hall was able to learn the true story of the Tayos libraryawhich was not in the Cueva de los Tayos at all! Jaramillo stated that he had entered the library in 1946, when he was 17 years old. He was shown it by an uncle, whose name has gone unrecorded but who was known as “Blanquito Pelado” (a loving description of the man’s appearance). He was apparently on friendly terms with the local Shuar population, who invited him to see a secret in gratitude for the kindness and goodness he had shown towards the tribe. Jaramillo entered the system at least once after that. On that occasion, he saw a library consisting of thousands of large, metal books stacked on shelves, each with an average weight of about 20 kilograms, each page impressed from one side with ideographs, geometric designs and written inscriptions. There was a second library, consisting of small, hard, smooth, translucentawhat seemed to be crystalatablets, grooved with parallel encrusted channels, stacked on sloping shelves of trestled units covered in gold leaf. There were zoomorphic and human statues (some on heavy column plinths), metal bars of different shapes, as well as sealed “doors”apossibly tombsacovered in mixtures of coloured, semi-precious stones. There was a large sarcophagus, sculpted from hard, translucent material, containing the gold-leafed skeleton of a large human being. In short, an incredible treasure, stored away as if hidden in preparation for some upcoming disaster. On one occasion, Jaramillo took down seven books from the shelves to study them, but their weight prevented him from replacing them. It also meant that they were too heavy to remove from the library and reveal to the world. Jaramillo never produced any physical evidence for his claims, which may explain why he wanted to live in the shadows of this story. Hall did ask him why he never took photographs. “He said that it would not prove anything.” Other discoveries, such as the infamous Burrows Cave in the United States, prove that seeing actually isn’t believing. Still, Jaramillo stated that he had left his initials in these seven books so that, if the library were ever discovered, it could be proved that it was he who had entered it. Jaramillo and Hall wanted to combine forces to see whether the Metal Library could be opened; one knew the location, the other had a proven track record in organising proper expeditions. It would be the “expedition of occupation”. First, contact with various ambassadors and politicians was established; then the scientific community was brought in. The plan was for Jaramillo to lead the team to the site, where they would remain for a period of three to four months (during the dry season), cataloguing the contents of the site and guaranteeing that nothing went missing. Everything would remain in situ. A report with recommendations would be the only outcome of this expedition, which would involve UNESCO. But in 1995, Peruvian jets bombed an Ecuadorian military base and the project had its first setback. In 1997, Hall used a major anthropology conference to promote the idea. Six anthropologists came to meet him, interested in what he was trying to accomplish. But that same year, Ecuador’s political regime changed (in Hall’s opinion, for the worse); Hall felt that his family could not live in the new political reality, so he moved back to Scotland with them. (Shortly afterwards, our paths would cross anonymously). This was nevertheless not a setback; planning for the expedition continued. However, it was in 1998 that the expedition had a major setback. Hall received by telephone the sad news from the mother of Petronio Jaramillo that he had been assassinated. Was he murdered because of the plans that were afoot? Life in South America is cheap, as anyone who has visited or lived there knows. That day, Jaramillo was carrying a large amount of money on him. It was a street robbery, close to his home. Random violence stopped one of the world’s biggest discoveries dead in its tracks. It seems that fate only allowed for Jaramillo and Hall to meet, but never to work togetheraas if their combined efforts would break the spell of the cave and turn a dream into a reality. Moricz and Jaramillo had both died. Hall was in his sixties. Would he go it alone and claim the Metal Library for himself? Hall isn’t a treasure-seeker. He emphasises that the region is aaif not theaveritable El Dorado. There is gold everywhere; the roads are quite literally paved with it. Even if the library books are made out of goldathough Jaramillo never spoke of gold but of “metal” (in fact, it seems copper was an ingredient, as Jaramillo had seen a green colour on the books)athere is more gold outside the library than inside. The presence of Moricz in the region was because he held extensive gold concessions; his interest in the library was not for its monetary value but for its historic importance. Still, various treasure-hunters in the past had tried to open the cave. Count Pino Turolla made contact with Jaramillo in the 1960s through the same channels that later brought Moricz to him. Turolla was obsessed with Cayce’s Hall of Records, and the Metal Library would be absolute proof of Cayce’s prophecies. But Turolla’s attitude and sense of organisation meant that the two never got along. Turolla pressed Jaramillo for details that the latter was unwilling to offer. So Turolla opted to search around the Cueva de los Tayos and came up empty-handed. I confronted Hall with Grist’s opinion. “Jaramillo always said that the entrance was under the river,” he said. But that river is not near the Tayos Cave. That river is the Pastaza River. 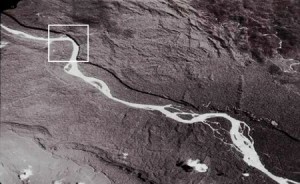 Aerial photograph of the area where the real cave is located. The marked area is the bend in the Pastaza River, which Hall visited in 2000 and which has all the required characteristics. Though Hall never learned the location from Petronio Jaramillo himself, after Jaramillo’s death in May 1998 Hall organised a trip with Mario Petronio, Jaramillo’s son, in which both combined their knowledge about the site. The trip had to be abandoned before “point zero” could be reached. In May 2000, Hall returned. Hall showed me aerial maps, pointing out a bend in the river that meets a fault line, which is known to open up into a cave system that runs for several miles. His suggestion is that the fault lineaevidence of an ancient earthquakeaopened up the underground network, which someone at some stage in the distant past then discovered and used as a place to install the metallic library. Hall had visited this location and deduced that it fits Jaramillo’s description perfectly. So, what happened next? Hall was 64 years old when he last travelled to the region; now he is seventy. When he was 68, he decided that more than likely he would not see this story come to its conclusion. However, he does not consider it to be his story, and he does not want to make the same mistake that Moricz did. So, on 17 January 2005, Hall informed the Ecuadorian government of the location of the cave that fits Jaramillo’s description, and which he hopes will become the focus of an expedition. For anyone who is interested, the location is at 77a 47′ 34″ west and 1a 56′ 00″ south. GoogleEarth brings you very close and can satisfy any initial curiosity. But knowing the location doesn’t mean it will be easy finding it. Hall thinks it will take decades or a paradigm shift before people can work together in a manner that will result in a successful “occupation”. He argues that the 1976 expedition only succeeded because a military regime was in power; “a democratic bureaucracy will swamp the expedition before it crosses any swampy river”. What is required is a sense of cooperation and openness. Too many people have tried to use the library as evidence for their own theory, whether involving aliens, globe-conquering Hungarians or Edgar Cayce and his Hall of Records. Perhaps that is why the missions were doomed. Perhaps we should just let the library speak for itself. The answers to questions as to who built it, where they came from, what they accomplished, etc. may all be found inside the structure itself. After all, it is a library. ? About the Author: Philip Coppens has previously contributed four articles to NEXUS Magazine, the most recent on European Pyramids (see previous issue, vol. 13, no. 3). His website is http://www.philipcoppens.com, and he can be contacted by email at info@philipcoppens.com. Stanley Hall’s website is http://www.goldlibrary.com, where his book Tayos Gold can be ordered. He can be contacted by email at tayosgold@aol.com. Both Coppens and Hall live just outside of Edinburgh, Scotland.